From Goldies (as Old is Gold) to the young generation I have learned Kashmir is a destination which everyone wants to visit at least once in their lifetime. Isn’t it? Reading about Kashmir is like walking in the dream lane where you automatically get the visuals of the snowy mountains shining with diamond sheen along with emerald touch, the mystifying lakes and tulip gardens. But whenever Kashmir is stroked in our minds, Srinagar, the Venice of Kashmir, like the crown of India over-tops our thought. 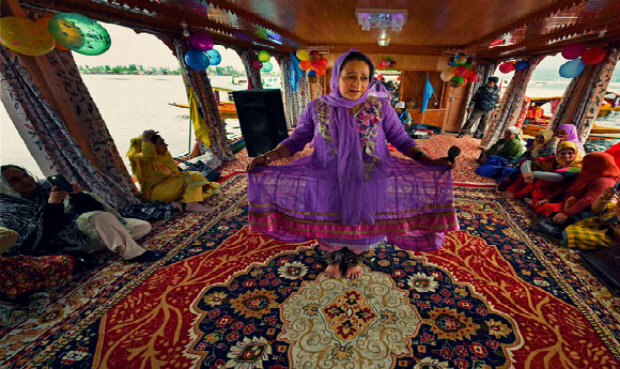 Weaving the dream tapestry further you find yourself floating in beautifully embellished Shikaras in Dal Lake without which valley seems incomplete. 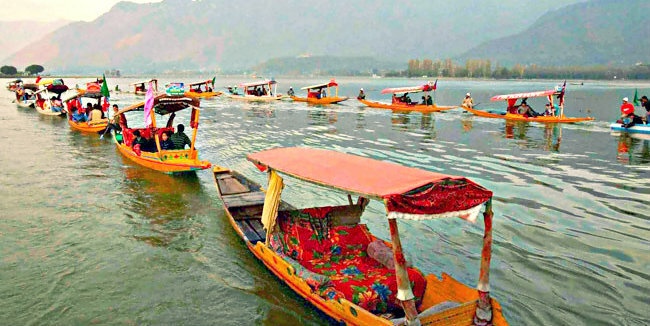 To celebrate the very identity of Srinagar, on April 2016 the government has initiated a very mesmerizing approach that adds a silver lining to the beauty of Srinagar via Shikara festival. Swaying on the water of dreams, Shikaras entangle many memories and during this festival, they roister the extravaganza of culture and traditions. 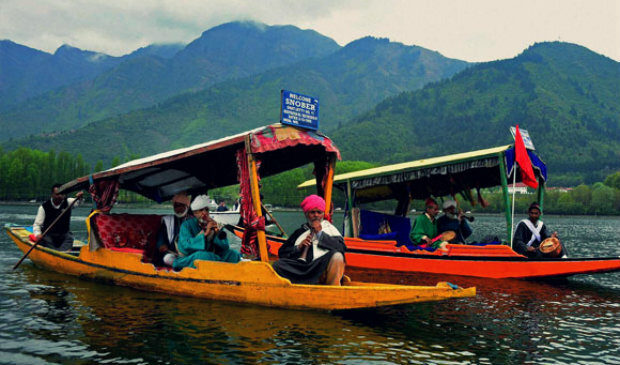 This unconventional festival is held at Dal Lake in Srinagar each summer and intertwines the native cultural programs along with the adventurous and thrilling Shikara Race, Dragon Boat Race, Kayaking and Canoe Polo match. All this is topped with the poignant Sufi music played in all Shikaras which takes you to the world of rhythm. Whoaa! That’s like a double retreat. But the sad part is that even with so much longing for a royal Shikara ride and Srinagar as a whole, only a few dare to stimulate their soul with the breathtaking experience. Cultural tourism has come down in lieu of growing because of the heartbreaking activities in the state. But then again when terror is fading away from the glory and respect of the heaven, Jammu and Kashmir tourism is trying to restore the grandeur with various festivals like Shikara Festival. By and large, sailing in Shikara is not just any boat ride, it includes different elements which cannot be combined in any part of the country. The most amazing part is seeing the mini floating shops selling all kinds of things from locally flavoured saffron and gulkand ice cream to barbequed fish, chicken and lamb overflowing with the taste and aroma of the local spices. I can bet you would not get these flavours anywhere or rather coming over my love of the Shikara I should say having these in Shikara has some distinguished effect over flavours. Now think of seeing the only floating post office in India and the floating farm of vegetables which is rather called “Chori Ki Zameen”. Interesting right? At this instant imagine staying in this aura of bliss in the houseboat. Having the Kashmiri tea, Kahwa and other gastronomical specialities which would tantalise your taste buds or just viewing the beauty under the stars in solace from your houseboat; miraculous. I would say being the part of Shikara festival, is like breathing in the beauty of the valley sprinkled with the spice of thrill, enthusiasm and peep through into the traditional art and culture of Kashmir. It’s like getting a Diwali bonus plus salary hike. Oops, I made a materialistic comparison of the divine abode which is unsurpassed. So when you visit Srinagar during this festival, a visit to the mesmerizing Dal Lake embroidered with lively assorted houseboats and Shikaras can be like seeing the most magnetic scenery. The memories of being the part of Shikara Festival will be etched into your mind forever and if you engage yourself in some costume adventure you may carry a souvenir for yourself to relive these moments again. Festivals like this may be promoted by the tourism board to allure more visitors to the majestic valley but when you become the part of it the whole universe seems to bless you with the whiff of heavenly pleasure. You know the most awesome part about narrating the divine land and the deities which are Shikaras, I was continuously hearing the oar paddling on the water. Thus, at the end I would say, do not travel to Srinagar to just tick it off from your bucket list. Experience it. Srinagar is very well connected by all mean of transport. There is no direct train for Srinagar but the nearest station to reach Srinagar are Jammu Tawi and Udhampur you can hire a cab or take the state transport bus service to reach Srinagar. Srinagar has a good road network and it is connected with major cities. Srinagar has its own airport with regular flight from Mumbai, Delhi and other major cities. ← Travellers Personality Trait – Bared! Incredible indeed! Didn’t know about this festival. Thanks for this wonderful post. Thanks, I am happy that you like my travel blog.